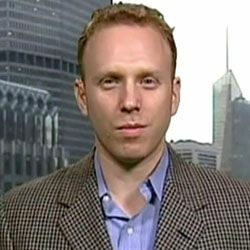 In latest pander to Israel lobby, Clinton smears Max Blumenthal's criticism of Wiesel as "hateful"
The Clinton campaign has reached a new low: slamming Max Blumenthal because he has dared to criticize Elie Wiesel for Wiesel's vicious comments about Palestinians and support for the Iraq war. "'Secretary Clinton emphatically rejects these offensive, hateful, and patently absurd statements about Elie Wiesel,' Jake Sullivan, senior policy advisor to Hillary Clinton, the presumptive Democratic presidential nominee said in a statement to The Jerusalem Post. "Sullivan released the statement following a Post report from earlier this week on anti-Israel activists who attempted to vilify Wiesel after his death. "'She believes they are wrong in all senses of the term. She believes that Max Blumenthal and others should cease and desist in making them,' Sullivan said." People should be reading Max Blumenthal's wonderful takedown of Elie Wiesel at Alternet, which begins with what an inspiration Night was to him as a boy (as it was for me too), before retailing Wiesel's repeated moral failures, including vigorously supporting the Iraq war and opposing the Iran deal, refusing to criticize Israel ever, while promoting religious nationalist settlers' expansion in Jerusalem. As Blumenthal promotes the piece on twitter, "How Elie Wiesel used his aura to shield militarists like Hillary Clinton, George W. Bush and Netanyahu." Blumenthal rightly defines the struggle here as one between neoliberal elites and marginalized supporters of Palestinians. "With Wiesel's death, the elites who relied on him for moral cover leapt at the opportunity to claim his legacy. Meanwhile, the teachings and testimonies of Holocaust survivors who insisted on applying the lessons of the genocide universally -- including to Palestinians -- remained confined to the margins." That is the battle that is playing out in the Democratic Party platform fight where the Bernie Sanders forces have been crushed. It is the battle playing out in Clinton's aggressive courtship of neoconservative hawks and her repeated hammering of the only nonviolent movement to put pressure on Israel, Boycott, Divestment and Sanctions. It is playing out also in the claim that Trump's campaign used a Jewish star to brand Clinton as corrupt and thereby issue a dogwhistle to anti-Semites (I agree with the guy who fired me, Jared Kushner, that Trump doesn't hate Jews). "I think he and Bernie Sanders have in common -- they are not bigots, personally. But they don't want to lose the vote, in his case of the hard right, and Bernie Sanders didn't want to lose the vote to the hard anti-Israel left, so they both, kind of, pandered and let things go." Dershowitz, a Clinton supporter, is clearly right, that a good part of the progressive community in the United States now defines Israel/Palestine as a central issue to them. Sanders hardly pandered to us -- he opposed BDS -- but he surely moved left to capture our support. We have actual political clout, and Bernie Sanders was able to build a campaign with us because he had escaped the financial clutches of the elitist Israel lobby by raising money at $27 a pop. Clinton can't escape those financial clutches. And she thinks she can only gain politically from smearing Max Blumenthal. She is saying, Let the Sanders hard-core stay home or vote for Jill Stein, I don't need them. But this political season isn't over yet; the Palestinian-solidarity community is having more mainstream impact than even I imagined a year ago with my rose-colored glasses. And: isn't becoming president by marrying neoconservatism the definition of a deal with the devil? What does that do to U.S. foreign policy? Is that why she sought power? Is Hillary Clinton even in touch with her soul?